I am moving my blog to http://www.toddlandryphotography.com/?page_id=20. Please note the change and continue to visit. The statue at the entrance to McNeese St University in Lake Charles, LA. The statue, titled “An Honest Day’s Work,” was designed by Fred Fellows of Sonoita, Ariz. He is known for Western figure-genre paintings and sculpture that commemorate cowboy life. 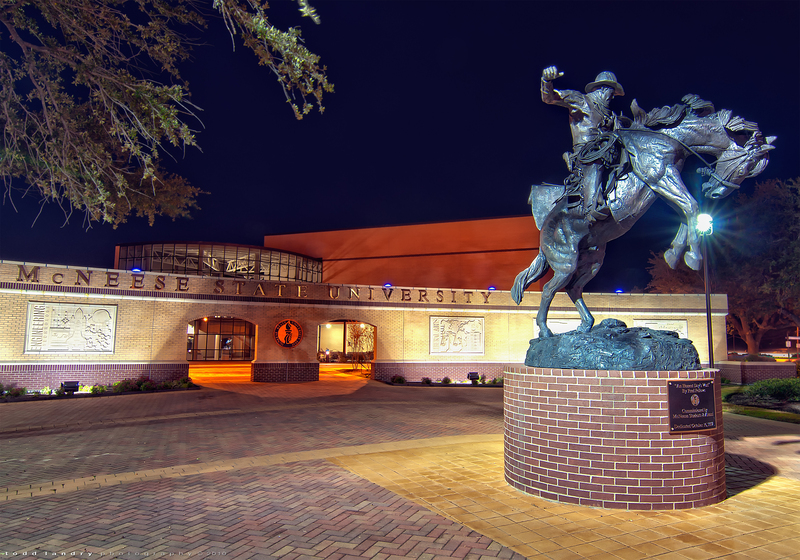 The sculpture, which depicts an 1870-to-1880s-period cowboy, was selected because it resembled the university’s logo. It stands 11 feet tall without the base and is 9 feet 6 inches long and 7 feet wide. It weighs about 2,800 pounds. Another image from my commercial shoot of buildings for Champeaux, Evans, Hotard Architects in Lake Charles, LA. 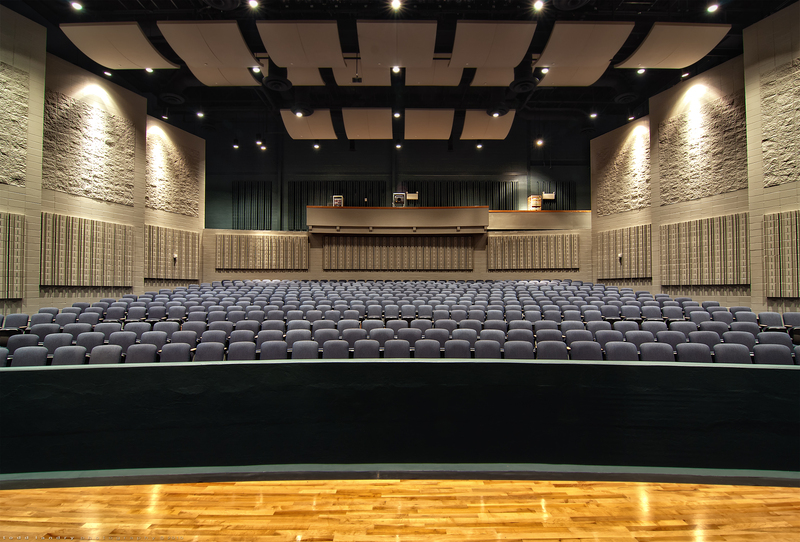 This is the theater taken from the stage. I am going to be moving my blog to this location: http://www.toddlandryphotography.com/?page_id=20. I hope that you will all make this change. A final shot of Calcasieu Point Landing in Lake Charles, LA designed by Champeaux, Evans, Hotard Architects. 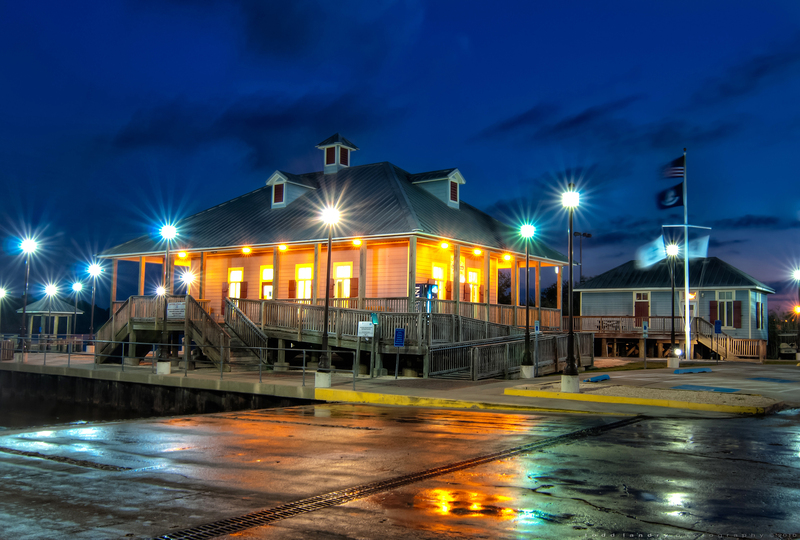 Another shot of Calcasieu Point Landing in Lake Charles, LA. Another shot from my trip to Lake Charles, LA this past weekend to shoot buildings for Champeaux, Evans, Hotard Architects. I was shooting the building at this location, waiting for the sun to break out under the clouds to get some nice shadows on the building. 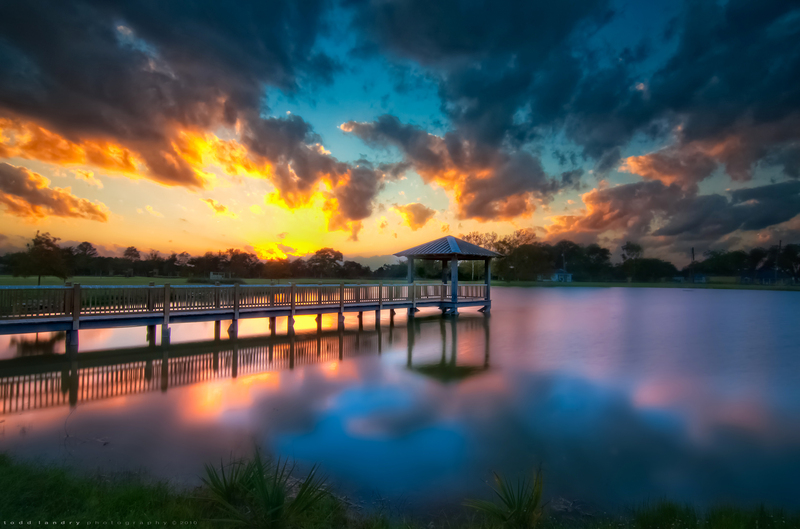 I kept watching the sunset and finally gave up on the building and turned to get this shot of the small private lake in front of the building facing the sunset. 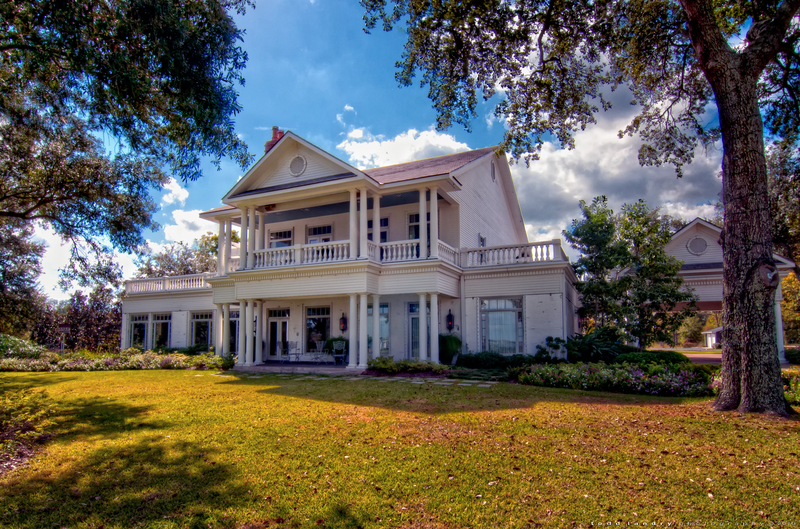 This is the first of a large series of photos that I took this weekend for Champeaux, Evans, Hotard Architects in Lake Charles, LA (www.champeaux.biz for information). 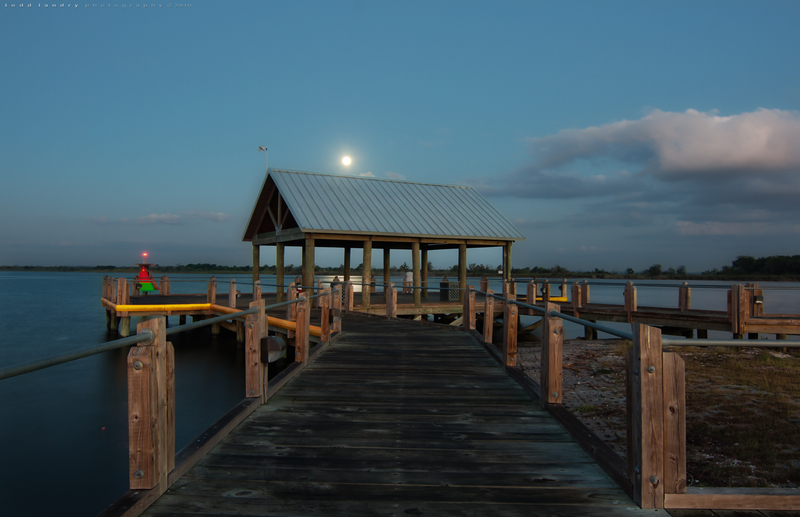 Calcasieu Point Landing is a public park in Lake Charles, LA Park amenities include a Boat Launch: Calcasieu Point Landing has a three lane public boat ramp which allows access to the Industrial and Intracoastal Canals. These canals are adjacent to nearby Turner’s Bay and Big Lake. 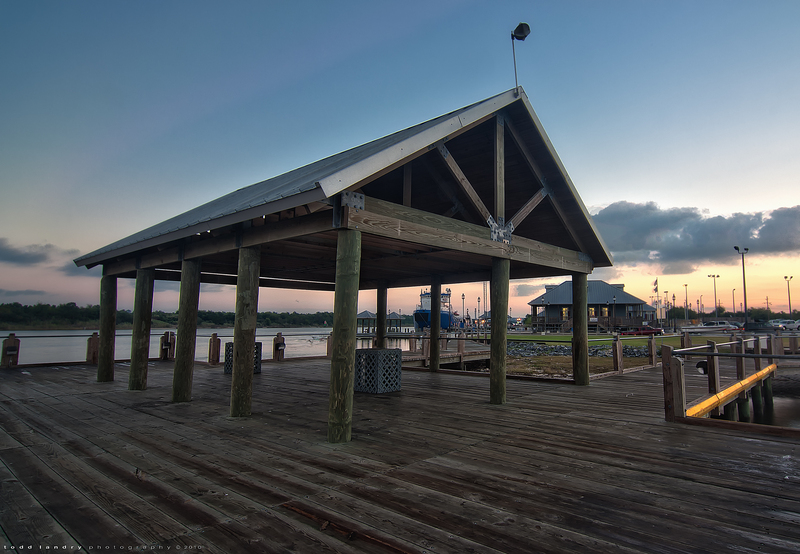 Industrial Canal fishing pier: Offering you access to the same great fishing as from the bank, the fishing pier adds the extra amenity of an open air pavilion that is the perfect place to have a picnic or get out of the sun for a bit. Other Facilities: A full service store is located at the park through a private individual’s lease with the Port of Lake Charles. This store offers snacks, beverages, ice, etc. and live bait when available.